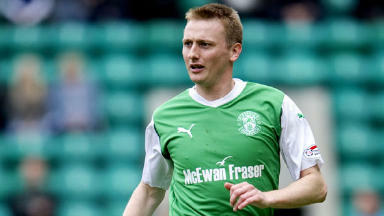 Unnamed Spanish club to run the rule over former Hibernian striker. Derek Riordan is targeting a shock move to the Spanish top flight. The former Hibernian striker, 29, is expected to travel to Spain for a trial with an unnamed club in La Liga. Riordan has been out of contract since his brief spell with St Johnstone ended in May. If he impresses in Spain Riordan could find himself rubbing shoulders with the likes of Lionel Messi and Cristiano Ronaldo in next year’s Spanish championship. The Edinburgh-born goalscorer is also interesting three clubs in the English Championship and League One. The English sides will step in to hold talks with the player if he fails to impress in Spain. 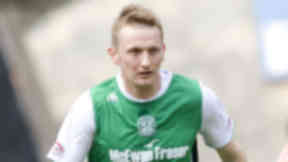 Riordan was named the PFA Young Player of the Year and won three Scotland caps while at Hibs, where he netted 54 goals in 123 appearances. A move to Celtic followed, but the striker’s career stalled under a lack of game time at Parkhead. He returned to Easter Road in 2008 and scored a further 38 goals in 102 games in the green of Hibs, before a move to Chinese team Shaanxi Chan-Ba, where he made just nine appearances.